15597 EP BERMUDA (1941) Yellow-billed tropic bird*. Presentation proof printed by Helio-Vaugirard in 1949 to demonstrate their printing techniques. Scott No 121D, Yvert No 112. 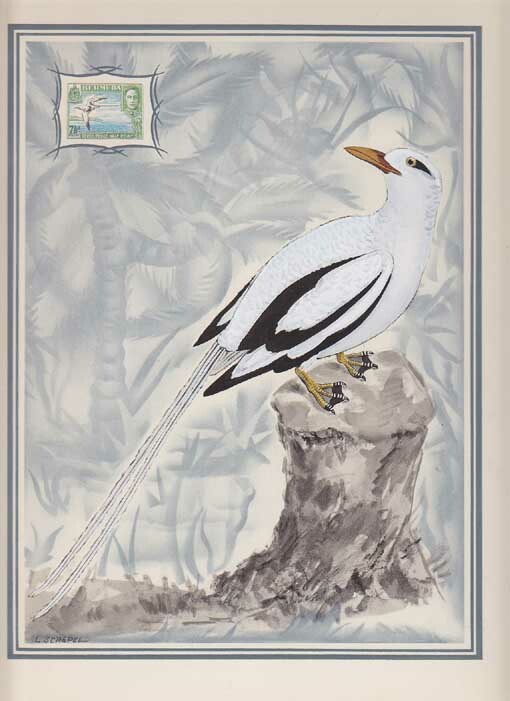 15600 EP BERMUDA (1949) Yellow-billed tropic bird*. 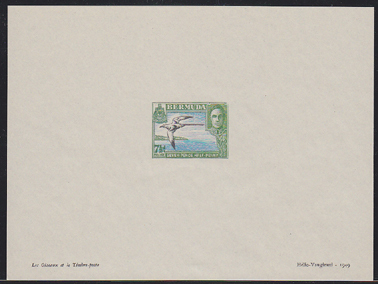 Oversized (20 x 26 cm) proof card with image of stamp and much larger plate reprinted from a drawing of Buffon (1784). These proofs were printed by Helio-Vaugirard to demonstrate their printing techniques. Scott No 121D, Yvert No 112.